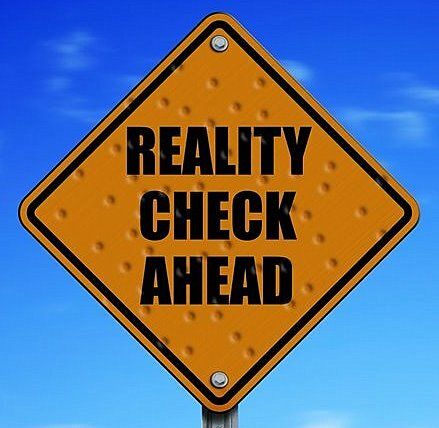 Are You Ready For a Reality Check? How do you know if your organization is headed in the right direction? Who do you talk to? How do you know whether or not to believe what people say? What would it mean if you knew what people think of your organization? Would you offer different services? Engage in new forms of advocacy? Host different art exhibits? Offer translation services? Rethink your budget? Consider merging with another organization? Below are a few questions you can ask. Ask those who are close to you and who may know all about your ups-and-downs. Ask those who use your services. Ask donors, volunteers, funders, you staff, newsletter readers, and your neighbors. The goal is to find out what people think about what you are doing. You may find out that your perceptions are echoed by those you ask. Or you may find a divide. Both findings are valuable and good. They give you information you can use to evaluate what you are doing and where you are headed. You can have the following printed on an easy-to-read card that you hand out or distribute as a direct mail piece. Or you can use them to create an internet-based survey using free software such as www.SurveyMonkey.com. Or you can personally ask people these questions in an interview format. If yours is a larger, or more established organization you may want to consider engaging a professional marketing or fundraising firm. Are we headed in the right direction? Are we living up to our mission? Do you know what our current programs are? Do you know what our vision for the future is? Do you support it? Do you trust the management and leadership of this organization? Are you willing to continue to advocate for this organization and to provide support? For many of us the past 18 months have been very challenging. When you explore how to do more with less it is good to consider what others think. You may be surprised by what you learn. This is especially important for organizations that have a long history of service. There may be new and creative ways to do things that your current leaders haven’t yet tapped. It’s always good to take the pulse of the community you are a part of. Your organization’s next good idea may be just a question away. Take the chance and find out what others think. © Mel and Pearl Shaw 2010. This entry was posted in FUNdraising Good Times and tagged fundraising. Bookmark the permalink.